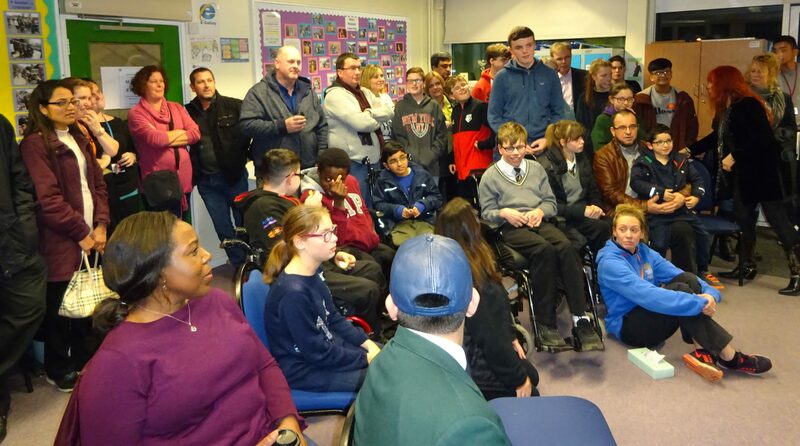 Students who attended the ever-popular National Junior Games 2017 at Stoke Mandeville, and their families, celebrated their amazing achievements in Base on Tuesday 16th January. This has become an annual event on the school calendar and is a great opportunity for staff, students and their families to socialise at an informal evening get-together. Families are able to look at photographs of the many activities and competitions our students participated in, and this year they greatly enjoyed a film of our residential trip last October, as well as the Base Christmas film, both produced by our resident director, Miss Todesco. It was a wonderful opportunity for parents to meet Ms Ahluwahlia, our new SENCo. 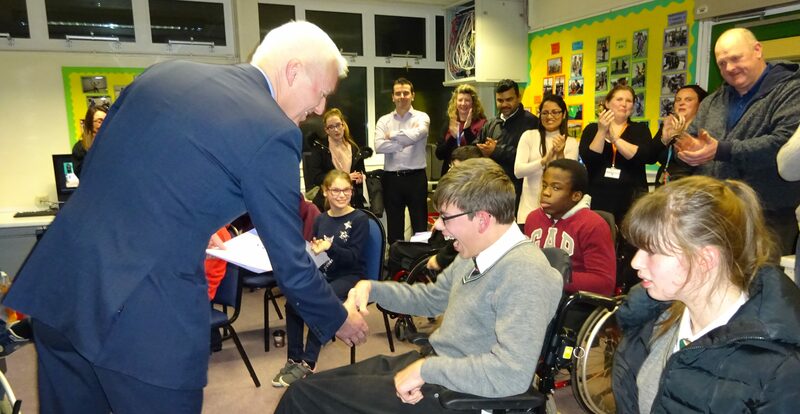 Certificates highlighting their exceptional and wide-ranging achievements were presented by Mr Turner. 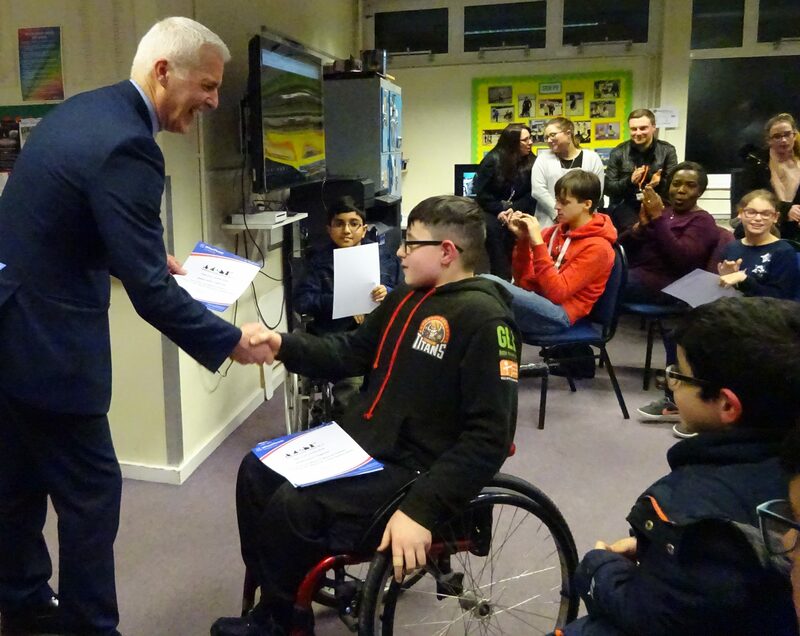 It was made even more special because every single BMS student who took part was awarded at least one certificate! Huge congratulations to Tristian, Grace, Meesha, Ben, Megan,Sarthak, Ross, Nicola, Parag, Jack, Kai, Daniel, Francesca, Abderrahim, Oliver, Rhianna, Melisa and Parth for awesome teamwork … and massive thanks to the dedicated team of staff who supported them!